How did your collaboration with Electric Youth come about? ROOM8: We met them and realized we loved so many of the same films and music and just got along great. We have a song we co-wrote and produced coming out on their debut record called "Without You" in addition to their feature on our track "Visions of You". Do you have any hidden influences— someone who we’d never guess by your music? ROOM8: We love so many things. We are huge fans of early pop music like Roy Orbison and Phil Spector. We are also hugely influenced by films both with synth soundtracks and with traditional soundtracks. What's the writing process like for you? Are you thinking of melodies first and adjusting sounds as you go? Or do your sounds influence the melodies? ROOM8: Generally we start by creating a musical track and we write the words and melody to that. Sounds greatly influence the melodic and lyrical content of our songs. Is there any gear you don't have that you lust after? ROOM8: It would be great to have a yamaha CS-80, but really there are just so many incredible instruments out there. It usually has to do with what we are missing in our rig as every synth has its own character to it. When you perform live, what kind of setup do you use? ROOM8: We have a full live band. Singer, vocoder, synths, saxophone. We use some vintage gear like our Juno 60 and pieces of our Simmons SDS 8 drum kit and then we have some laptops running Arturia. What new gear excites you the most? ROOM8: We are fans of what korg is doing with new analog. Re-releasing the arp odyssey. They seem to have smart leadership over there. 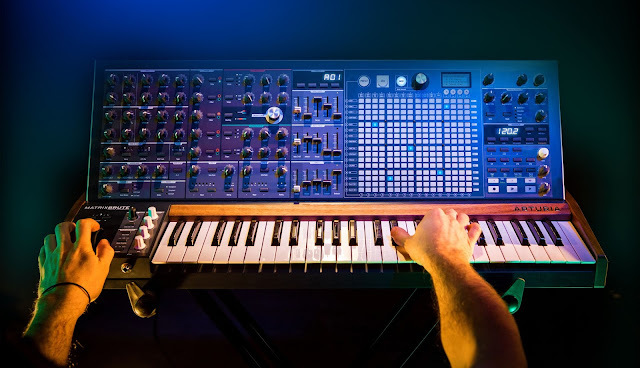 The Novation Bass Station 2 is a really nice sounding new mono synth. It's great that people are building new analogs. However, there is a magic and sound quality to the older ones which we have yet to feel from any of the new ones in the same way. 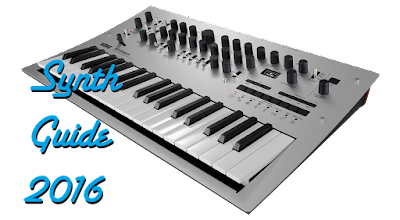 Do you have a favorite synth or audio company, digital or hardware (besides Arturia)? ROOM8: In terms of software UVI and Arturia seem to lead the pack. In hardware it's fantastic that Tom Oberheim is making new synths and the rebuild of the two voice sounds fantastic from the demos we've heard. Is there any other newer gear you're after? ROOM8: No other brand new synths per se. But lots of old ones. There are a number of mono-synths we have our sights on. Slowly but surely. What are your plans for the future, is a full length release in the works? ROOM8: Yes there is so much music in the works and quite a bit in the can. The business aspect of music is always slower then our productivity level so things take a while to come out sometimes, but you can definitely look forward to a full length. A big thanks to ROOM8 for joining me and letting us take a look at their gear! Be sure to check out their SoundCloud, Twitter, Facebook, and Tumblr.